After rain, sunshine… Yesterday was a fun day and a day I actually accomplished a couple of things. First I fixed my Janome problem. I had been tightening the needle screw as tight as I could by hand. Then I decided to have a go with the screw driver in the tool kit and this did manage to tighten it more than I could manually. After a brief test run it seems to be sewing perfectly again. Aaaah. 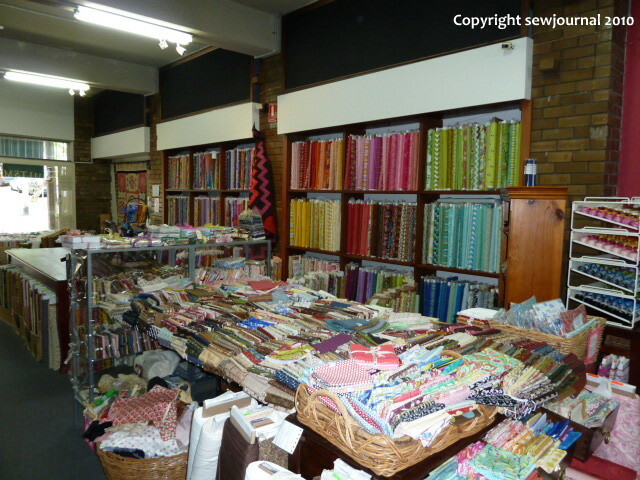 Then I went out with a friend who is new to Sydney and we visited the Quiltsmith in Annandale. If you haven’t been you don’t know what you’re missing! 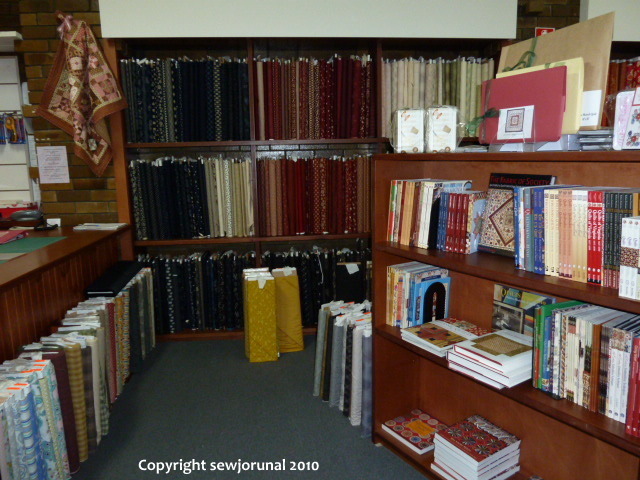 They have the most comprehensive range of fabrics I’ve ever seen and quite a large sale section too. They allowed me to take some photos to show you. bear in mind that these photos show only a small portion of the shop and a tiny portion of the sale section. 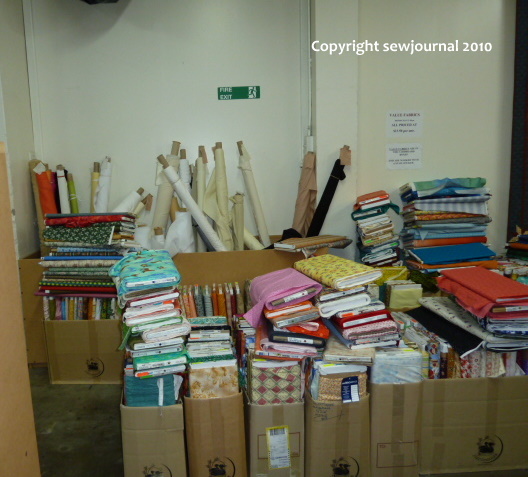 I bought couple of sale fabrics – one of which was a Kokka and some Moda cottons with scissors on them in half metres. I also scored a lovely free pattern. To cap off my day I finally finished re-binding the Arabesque and I’m much happier with the result. Here is a side by side comparison of the Arabesque Before and Now. Although the latest one was taken at night with a flash and so the colours aren’t as good I think you can see a definite improvement. 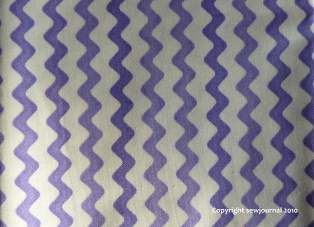 I was looking through my pink and purple fabrics and I’ve come up with four that I might use in the coloured strips of the baby quilt and for the binding. 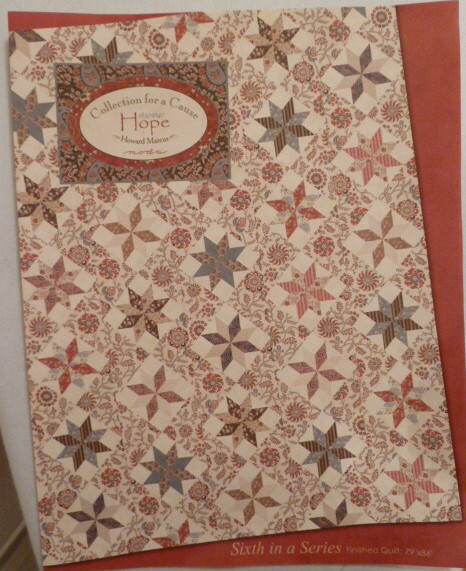 I’m planning on using Kona Snow for the background and I haven’t yet decided whether to do a pieced or a plain backing. 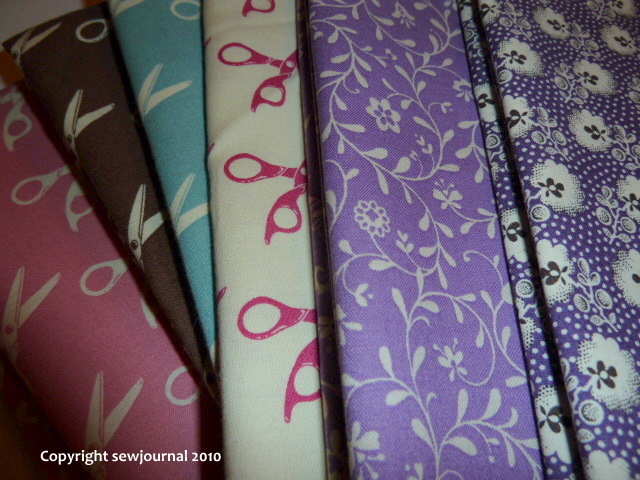 Here are my four fabrics. What do you think? 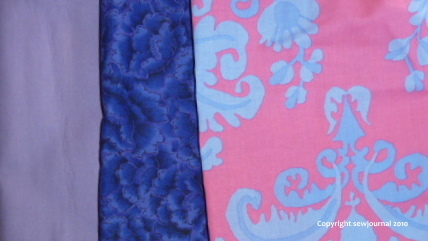 These are, from left to right, Kona Lilac by Moda, Ravello by Jinny Beyer for RJR and Burlesque Brocade by Brandon Mably for Rowan/Westminster fabrics. I’m not 100% sure about using this fabric for the binding but if I do, I will probably use it on the bias. It’s called Rick Rack by Me and My Sister for Moda.